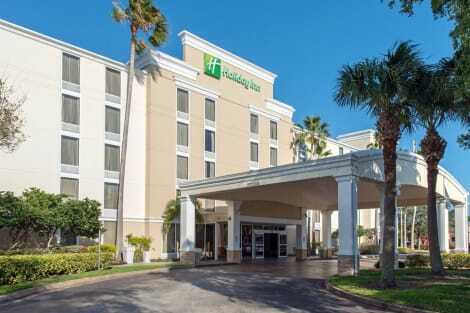 The best Florida vacation begins at the COMPLETELY RENOVATED Holiday Inn Melbourne - Viera Hotel and Conference Center. Interstate I-95 gives our guests convenient access to our famous beaches, Kennedy Space Center, Brevard Zoo, multiple golf courses, shopping, restaurants and all the major central Florida theme parks. Soak in Florida's sunshine while being refreshed and relaxed at our tropical pool. Enjoy convenient and affordable dining at our Restaurant & Lounge. Here for business? We are just minutes from the Melbourne-Orlando International Airport, Patrick Air Force Base and companies such as Harris, Northrop Grumman, Lockheed and GE just to name a few. With a stay at Hilton Melbourne Beach Oceanfront in Indialantic, you'll be 7.6 mi (12.3 km) from Florida Institute of Technology and 8.2 mi (13.3 km) from Melbourne Square Mall. 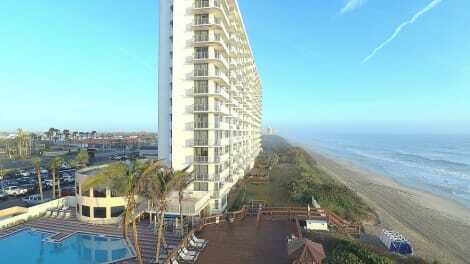 This beach hotel is 14.3 mi (23.1 km) from Brevard Zoo and 16.6 mi (26.7 km) from The Avenue Viera. Don't miss out on recreational opportunities including an outdoor pool and a 24-hour fitness center. Additional features at this hotel include complimentary wireless Internet access, a fireplace in the lobby, and barbecue grills. lastminute.com has a fantastic range of hotels in Melbourne, with everything from cheap hotels to luxurious five star accommodation available. We like to live up to our last minute name so remember you can book any one of our excellent Melbourne hotels up until midnight and stay the same night.